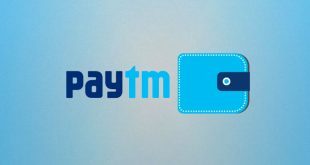 Ever since PM Narendra Modi demonetized 500 and 1000 rupees notes, services like digital wallets have become quite popular; Paytm being the top one on the list. But wait, there is also a new kid in the town called – UPI, short for Unified Payment Interface. So, what exactly is UPI, how does it work, and how can it be a game changer? Well, let’s find out. Day before yesterday, State Bank of India launched their first UPI app; which according to them, will be a game-changer in the current economic scenario of demonetization, and we agree with them. SBI has India’s largest customer base, and by joining hands with 30 other Indian banks, UPI might change the way banking is done in India. This is a highly researched article, and once you make it to the end, you will have a crystal clear Idea of what UPI can do and what it can’t. So, please read it carefully and here we go. So, what exactly is UPI? UPI (short for Unified Payments Interface) in simple words is an online payment system which lets you transfer money to your friend (or anyone) using your smartphone. Now, I know, what you are thinking, one can also transfer funds with the smartphone using online banking and Paytm, right? So, how is UPI different? If you transfer money via online banking (i.e. NEFT or IMPS), you need to know the beneficiary’s account number and IFS Code. Not to forget, it also takes some time to add a new beneficiary and transfer funds. Paytm, on the other hand, is simple. Enter the person’s mobile number and the funds are transferred instantaneously. No need to wait or enter the complicated account number. But, a big problem with it, the money you received from Paytm goes to your Patym wallet and not your bank account. Yes, you can transfer that money from your Paytm wallet to your bank account, but that takes time, and there is a huge transaction fee (4% normally, but it is at 1% right now). And this is where UPI comes into the picture. With UPI, you can transfer funds by knowing the beneficiary’s mobile number or VPA and the amount goes directly from your bank account to your friend’s bank account. No third party wallet is involved. Best of both worlds. Here is how it works, you download the UPI app for App Store > open it > enter the beneficiary’s VPA (the Virtual Payment Address, which is like an e-mail address for your bank account) > confirm the amount > press send. And that’s it. You have successfully transferred the money to that person’s bank account. So, you see, to send and receive money via UPI, you don’t need additional bank account information like you need to during IMPS, RTGS, etc. UPI can also be used to pay merchants who accept UPI as a payment mode, just like you can with mobile wallets such as Paytm. And yes, UPI is backed by the Indian govt i.e. NPCI (National Payment Corporation of India). What are the advantages of UPI over NEFT, IMPS, and RTGS? 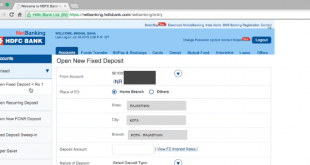 Unlike NEFT and RTGS, UPI is available 24×7. You can transact even on public holidays, or at 3 am when your younger brother asks you for urgent cash. With UPI, you can easily pay to merchants (obviously who accept it) directly from your bank account without inputting your card details, net banking ID/password, etc. There is also no need of adding a beneficiary everytime you want to send money to a new party. All you need is their VPA (which is easy to remember), and you are ready to go. What are the advantages of UPI over mobile wallets like Paytm? Unlike the online wallets, with UPI, your money is in your bank account. And you get the interest for that as long it’s there, which is not the case with the online wallet. UPI also has better security. You don’t have to worry about the safety of your UPI account in case it gets hacked since it uses two-factor authentification. So, without your mobile number or MPIN, the data is useless for a hacker. It can not be accessed from any website, like other E-Wallets. Topping up your UPI wallet is also not a hassle as it’s directly linked to your bank account, and all the funds are always available. Also, there is no monthly limit for transactions which is set to ₹20,000 for wallets such as Paytm (KYC increases this limit). Can any Bank’s UPI app be downloaded for use? Yes. There are a lot of apps for UPI access, and any one of them can be used to transact using UPI. For example, you can use ICICI Bank’s app ‘Pockets’ to transact using your SBI account. Note: Make sure you update your app from the Play Store. How do I get started with using UPI? 1. Android smartphone with active Internet connection. 3. A mobile number linked to the aforementioned bank account. One SMS will be sent from your mobile number, so make sure you have sufficient balance. Note: None of the UPI apps work on rooted Android phones for security reasons. Once you have all these requirements fulfilled, you are good to go. Firstly you have to create your unique VPA (Virtual Payment Address). For this instance, we’ll see how to create a VPA on ICICI Pockets app (ICICI bank’s mobile app) using an SBI account. But the steps should be similar for other banking apps as well. Step 1: Open ICICI Pockets. The first time you open the app, you will be required to set an MPIN. Also, an SMS will be sent from your mobile number for verification. Step 2: Click on ‘Continue‘ to create a unique Virtual Payment Address (VPA). Step 3: Choose a VPA and check if it’s available. Step 4: Select your Bank from the list. Step 5: Then register that bank account using your debit/credit card information. Step 6: Choose your default account for transactions. Step 8: After submitting, you’ll be all done – and can now begin transacting using UPI. What transactions can I perform via UPI? Transactions are currently limited to transfers between different bank accounts in the form of VPA to VPA transfers. But, there will be more in future as UPI penetration goes deeper in India. 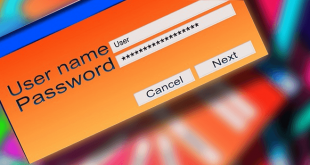 Can you link more than one bank account to a VPA? Yes, you can. You need to choose your existing VPA while linking your new bank account. If you choose to link another account to a VPA, then you need to also select one particular account to be your default for sending and receiving payments. Is there a transaction limit for UPI? Yes, right now the transaction limit is set at ₹1,00,000. This limit is per transaction based, so you can perform multiple transactions a day if you need to. No, right now there are no charges for transactions done via UPI, but there may be a charge in the future, as initially it was announced by NCPI that they would be charging a flat rate of ₹0.50 per transaction. Again, this is way less than what NEFT/IMPS charge (usually 5.75 Rs) and receiving money from Paytm wallet to bank account (usually 4% of the total amount for non-VIP users). What security protocols are being taken care of? Nandan Nilekani, the advisor to NPCI, has said that the security which is being used by UPI is fool-proof, and the transactions will take place in a highly encrypted format. The same technology is being used by NPCI’s IMPS network, which already handles more than Rs.8,000 crore worth of transactions per day and this figure is only set to increase with UPI becoming popular. Is my money at risk if I lose my mobile phone? No, all accounts are set to adhere to RBI’s two-factor authentication norms, so without access to your MPIN, your account is completely safe from the intruders. Can money be remitted abroad using UPI? No, as of now only domestic transactions are permissible. Is there an iOS or Windows Phone App for using UPI? No, but according to the National Payment Corporation of India (NPCI), it will be available on other platforms shortly. As of now, it’s only available for Android users, since Android has the largest market share in India. UPI is the way forward for the Indian economy as there is a shortage of cash right now, and also because it is a better alternative to other E-wallets such as Paytm, Mobikwik, Oxigen wallet, etc. Over the course of time, it will prove to be a great utility for the public as it will make payments fast and easy for the Billion plus population of the world’s largest democracy, India. Hope this article helped you clear some doubts about UPI. If you have any more questions regarding UPI, feel free to ask them via the comments or tweet at me directly.